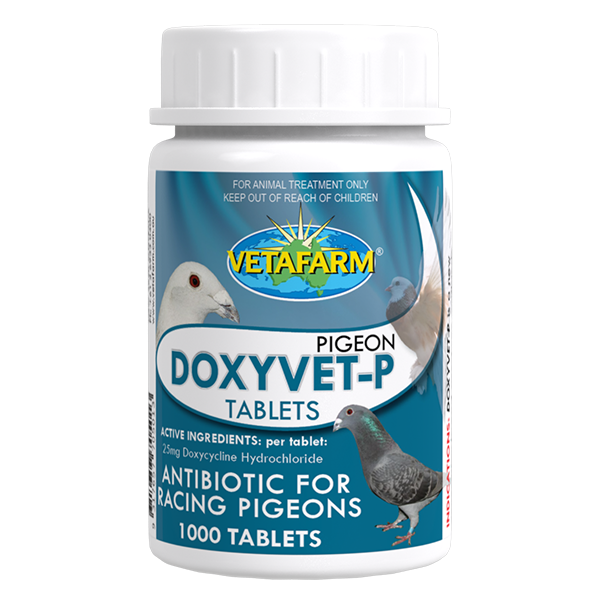 Pigeon Doxyvet-P is a new generation broad spectrum antibiotic effective against gram-positive and gram-negative bacteria, also Rickettsia spp., Chlamydia spp. and Mycoplasma spp. organisms. 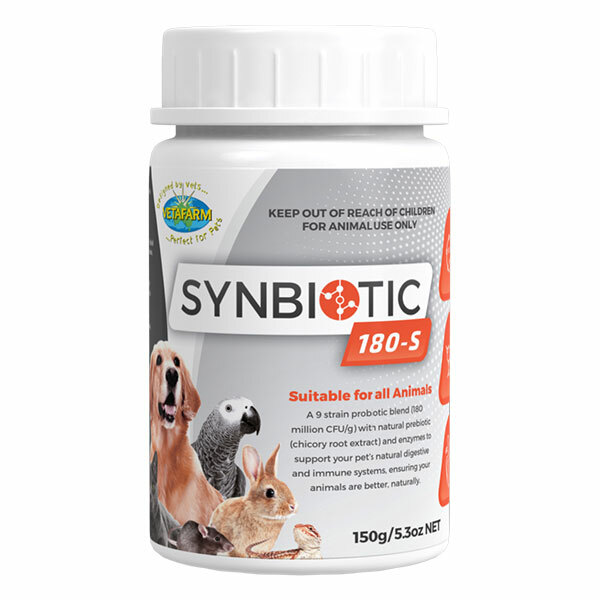 It will treat Colibacillosis, Ornithosis Complex, Staphylococcal infections, and other susceptible organisms. 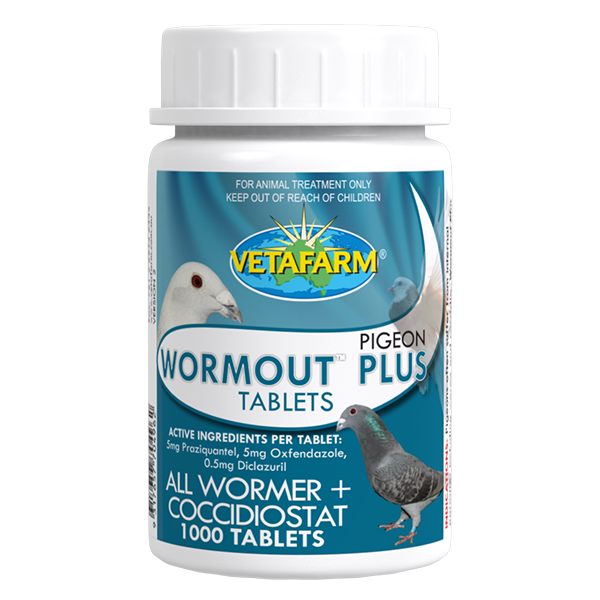 Give by oral dosing, one tablet per pigeon daily for 5-7 days. 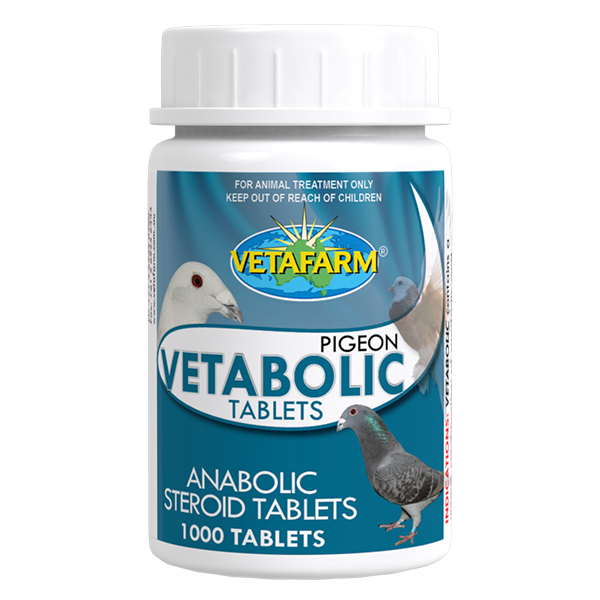 Doxycycline hydrochloride 50mg per tablet.